Guru’s tips: Use the Keyword Search box to refine your search; use the Price Per Day toggle button to view the daily rates; sort the table by clicking each column header. To sort by duration, click the ‘Cruise’ column header. We have thousands of cruise deals available to book with just $10 deposits, plus you can make the final payment in four easy equal payments using our Cruise Payment Plan. Need further help? 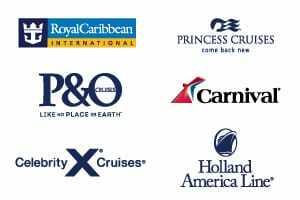 Contact us, request a callback or use our Cruise Finder tool or view all cruise deals to locate your perfect cruise. Only cruises with available pricing are shown. If your cruise is not listed, contact us, we may have secret pricing too hot to show.